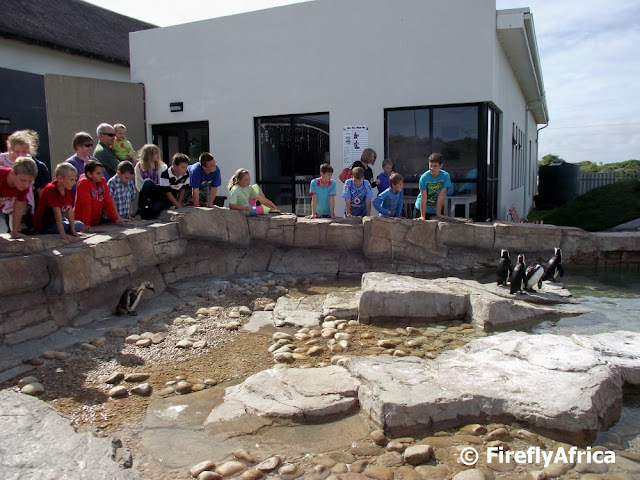 The 25th of April is Internation Penguin Day and with Algoa Bay being home to the biggest population of African Penguins in the world I thought I would do a post to celebrate it. 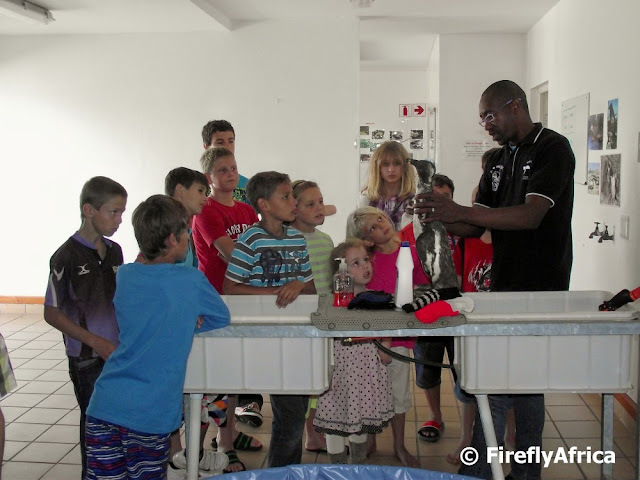 The South African Marine Rehabilitation and Education Centre (SAMREC) is located in the Cape Recife Nature Reserve in Port Elizabeth and the staff and volunteers involved there do an amazing job in the conservation effort of this endangered specie. Why is 25 April celebrated as International Penguin Day? Well, that is the day that the Adelie penguins in the Antarctic begin their annual northward migration. How they know to start migrating on this specific day I don't know so lets say give or take a couple of days. The Adelies start migrating in the Antarctic autumn season and don't return to their colonies until the following spring. They will swim north for only about 600km and stay among floating icebergs, feeding in the surrounding ocean. This means that these penguins don't really migrate to another landmass but spent their time in the water and resting on the ice until the season changes again and they head back home. The reason for this migration is that the days in Antarctica become darker during winter and by migrating slightly north they have more daylight hours to hunt for food. "A birthday party with 20 kids! Are you mad?" Just one of the comments I got when I told people that Chaos Boy has invited 20 kids to his birthday party this past weekend. "What are you going to do with them? They'll wreck your house!" Another couple of comments. 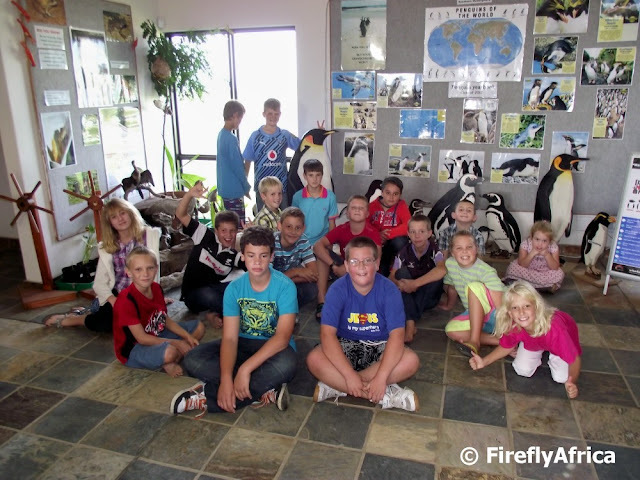 Well, I asked Chaos Boy what he wanted to do for his birthday party and he decided that he wanted to take his friends to go and see the penguins at the South African Marine Rehabilitation and Education Centre (SAMREC) in the Cape Recife Nature Reserve here in Port Elizabeth. 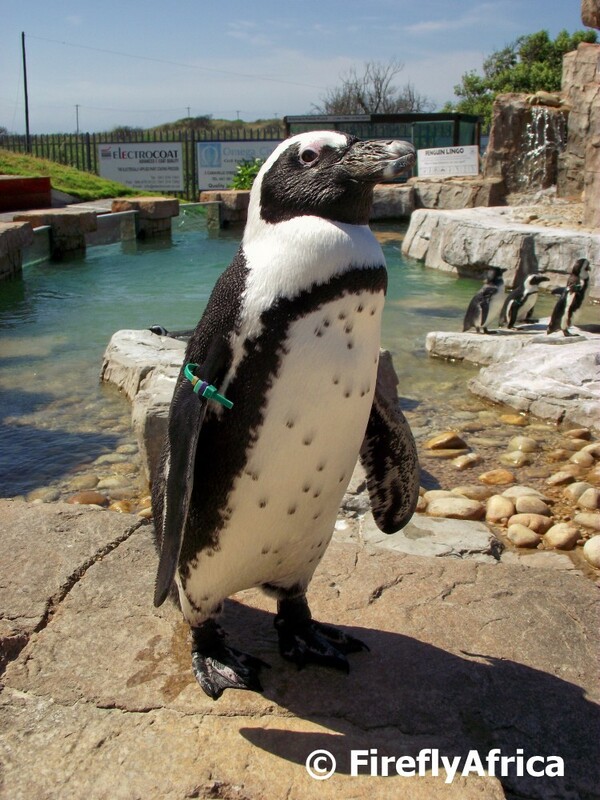 SAMREC primarily (but not exclusively) concentrates on the conservation of the African Penguin and has a very strong educational aspect to it. 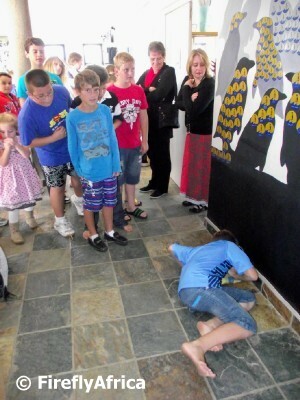 The Interactive Room is also referred to as the "Must Touch Room" and this is where this bunch was in their element. The room contains everything from a stuffed penguin, baby seal and otter to sharks teeth, whale baleen, shells, fish and, and, and... Way too much to sit and list over here. 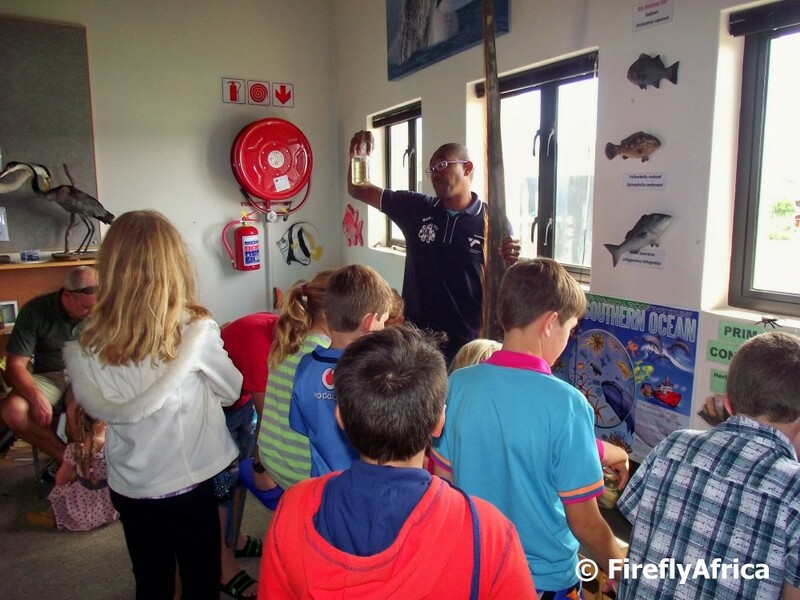 Lets just say that in this room kids are encouraged to touch and feel, allowing them the opportunity to experience and get in touch with things they would probably never have the opportunity to out in nature. The problem with this room is the fact that the kids just don't want to leave. In the animal hospital Eddie demonstrated to the kids how the penguins get washed and fed when they come to the centre. Some of the patients would have oil on them when they arrive and the whole process gets explained. They also got to see the amongst others the ICU area. The last part of the tour is another highlight. The penguin pool is where these endangered birds spend their days. 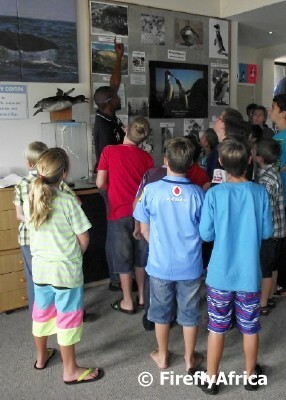 Eddie told the kids about the birds that is there at the moment and which ones would be returning to Algoa Bay soon. Some of the kids (Drama Princess in particular) really enjoyed the windows from which you can watch the birds swim underwater while the others just couldn't stop asking question. I've taken many people and members of the media to SAMREC before, but this was my first party. I really hope more and more people get to know of this very special centre as they get no government funding and has to work with what they make through entrance fees, penguin adoptions and donations from members of the public and the private sector. 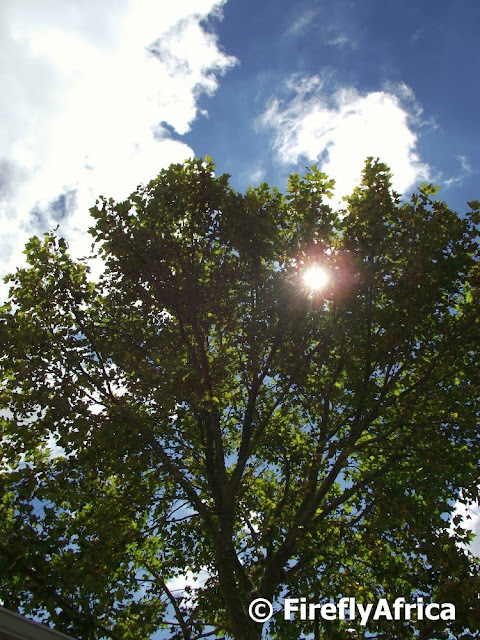 Earth Day gets celebrated annually on this day, 22 April, to demonstrate support for environmental protection and is celebrated in more than 192 countries every year. The name and concept of Earth Day was pioneered at a UNESCO Conference in San Francisco by John McConnell in 1969 . He proposed 21 March 1970, the first day of spring in the northern hemisphere., for the celebration of this special day. A month later a separate Earth Day was founded by United States Senator Gaylord Nelson as an environmental teach-in first held on 22 April 1970. While it was focused on the United States for the first twenty years, it went international in 1990 and is growing every year another 23 years down the line. To celebrate Earth Day I'm showcasing some most breathtaking views of the Cape I photographed on a tour of the Cape Peninsula with the Tourism Grading Council of South Africa. All truly 5 star views. Who graded them? Well me, of cause. I'm sure you will agree though. 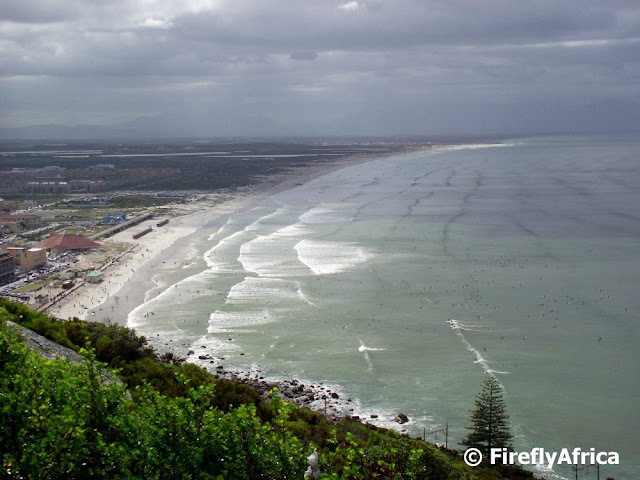 The view of Muizenberg from the Shark Spotters lookout on Boyes Drive. The hundreds of little black specks in the water are all surfers waiting for a wave to ride. Looking back towards Smutswinkel and Simonstown from the top of the Cape Point lookout with False Bay stretching away to Gordon's Bay and Strand in the distance. 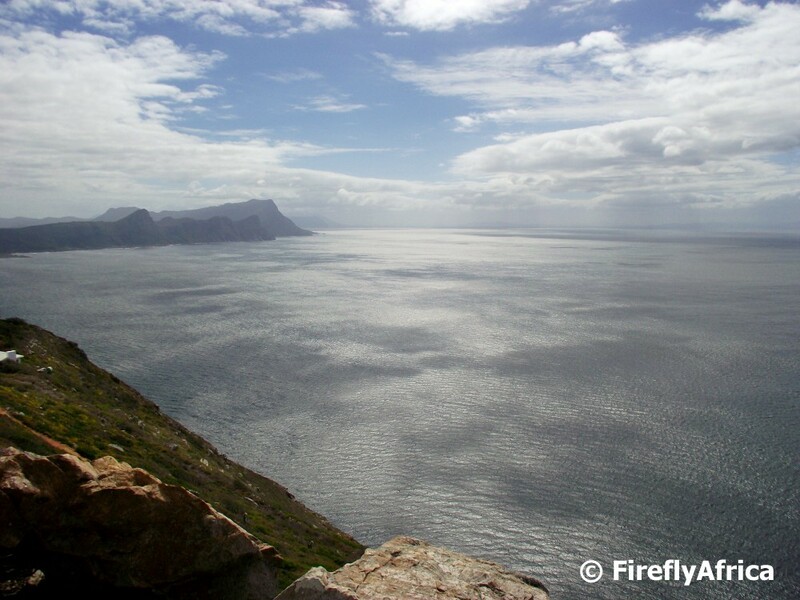 Another picture from the old Cape Point Lighthouse lookout area. 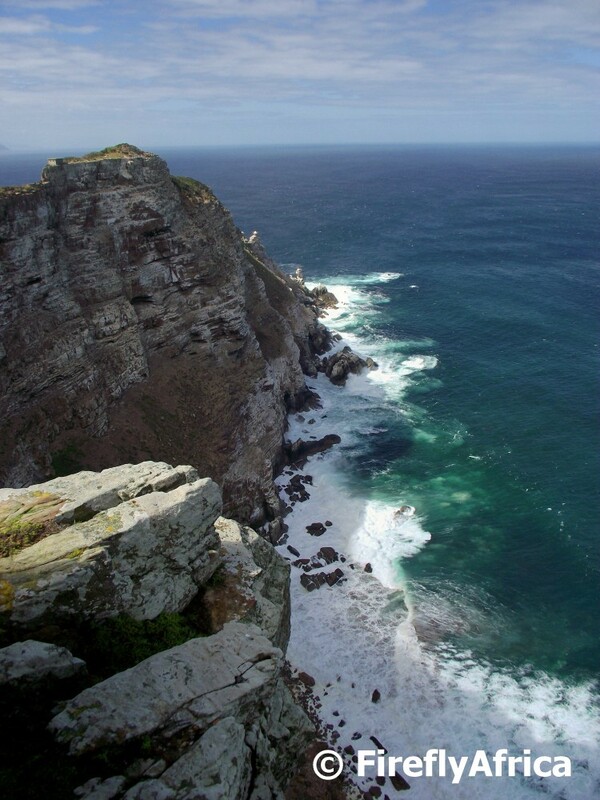 This time looking west to the Cape of Good Hope, the most south-western point of Africa. 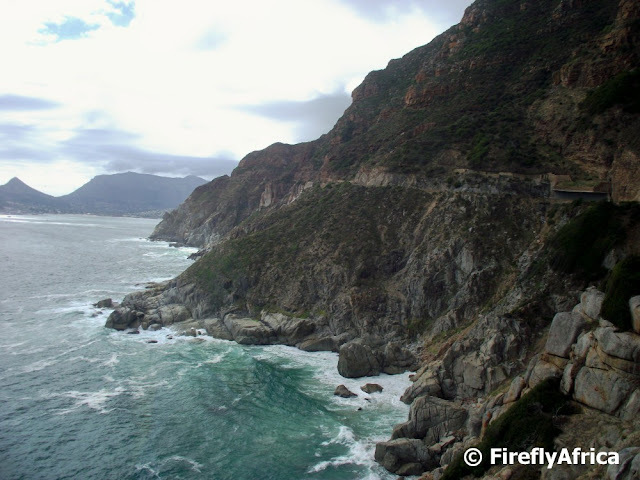 The final picture is of one of the most scenic and dramatic drives in the world. Chapman's Peak Drive with Hout Bay in the distance, taken from the window of the vehicle I was travelling in. Unfortunately the weather didn't allow us time up Table Mountain during that weekend otherwise I would have included one or two views from up there in the collection as well. 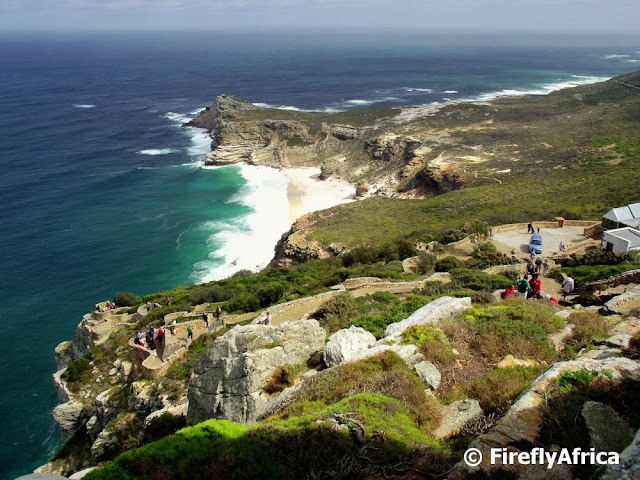 Disclosure: I went on the Cape Peninsula tour as guest of the Tourism Grading Council of South Africa during a fully hosted blogger tour of Cape Town. 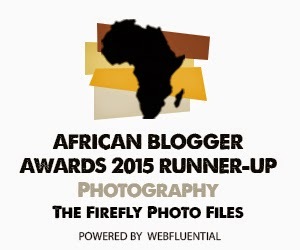 I received no additional remuneration to write this post and all views expressed are my own. 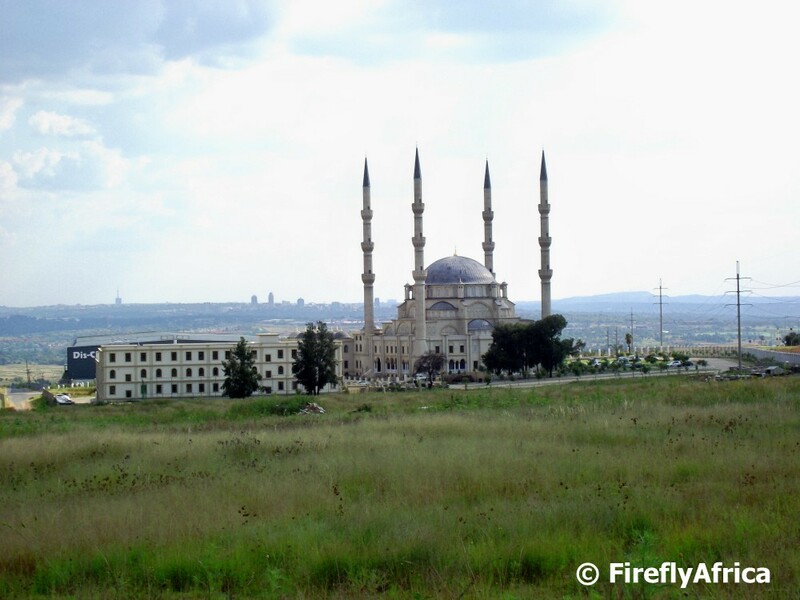 Close to the N1 highway in Midrand between Johannesburg and Pretoria, with views of Sandton and Johannesburg in the distance, stands the magnificent Nizamiye Turish Masjid. And magnificent it truly is. 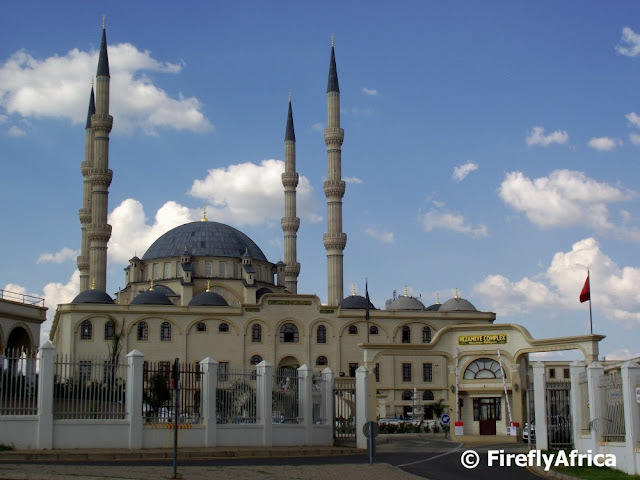 The mosque is the biggest in the Southern Hemisphere and was built as an Ottoman structure and modelled on the Selimiye Camisi mosque in Edirne, Turkey (completed in 1574 and today a Unesco World Heritage Site). The project was the brainchild of Ali Katircioglu (known as “Uncle Ali”), a 74-year old, retired Turkish property developer, who initially wanted to take it to the United State of America. After struggling to find a suitable site he was advised by a friend to rather bring the project to South Africa. I would have loved to have seen the inside of the mosque, but only had time to snap a couple of pictures from outside. Inside will have to wait for another visit. The Mosque has a main dome (covered with 48 tons of lead) that is 31m high and 24m wide as well as a further 4 half domes and 21 smaller domes. Inside the mosque there is authentic Turkish ceramics on the walls and calligraphy on the ceiling. The dome is patterned with Turkish art and the custom made carpet below it is a reflection of it. 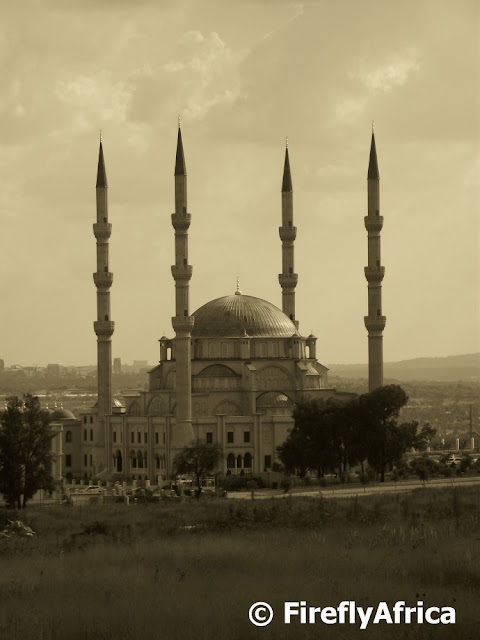 The 4 minarets are 55m and only three metres in diameter but contain two concrete spiral staircases, running one above the other – one up, one down. The mosque also has 232 stained glass windows. Up to 6000 people can be accommodated per service in the central men's prayer hall and women's prayer gallery. On special occasions the mosque is lit up in luminescent green and purple at night which is something I didn't get to see otherwise there would have been a picture of it up here. Except for the mosque itself, the complex also houses a clinic, a four-storey sama (school) for 850 learners and an arasta (row of shops and restaurant). The mosque has truly changed the landscape of Midrand and has become a landmark that can't and shouldn't be missed. I'm not a Jazz fan, not by a long shot. For some reason, perhaps because of watching too much television, when I hear "jazz" I think of a smoke filled bar with a lady hanging onto a mic accompanied by a piano, sax and double bass. 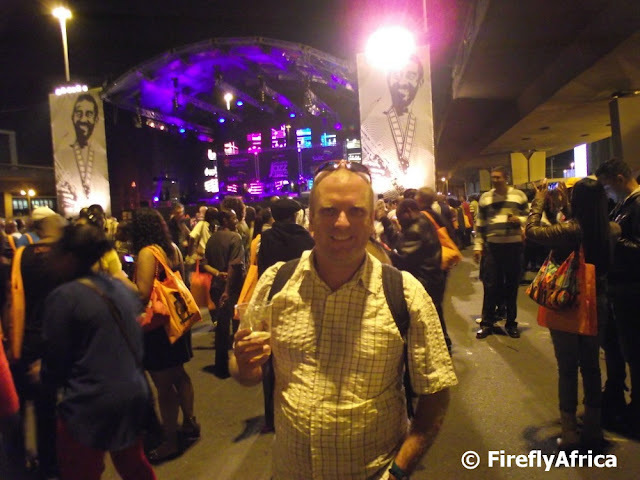 So when I was invited to Cape Town on a blogger tour which included the Cape Town International Jazz Festival I wasn't too sure what to expect. Jazz? Festival? Me? That's going to be an interesting experience. Am I sorry I went? Not at freekin all. It was an amazing eye opening experience. This year was the 14th addition of the Cape Town International Jazz Festival (fourteen I tell you, and I'm only getting to attend it for the first time) which took place at the Cape Town International Convention Centre (CTICC). I wasn't sure what I expected as far as numbers, but the festival attracted in the region of 34 000 people over the two days. That is huge. Throngs and throngs of people enjoying what is probably some of the most relaxing music there is. Why do I say relaxing? The first thing I noticed and asked my host was why people are just standing there? I'm used to lekker Afrikaans music with a beat to which you tap your foot and dance along with. 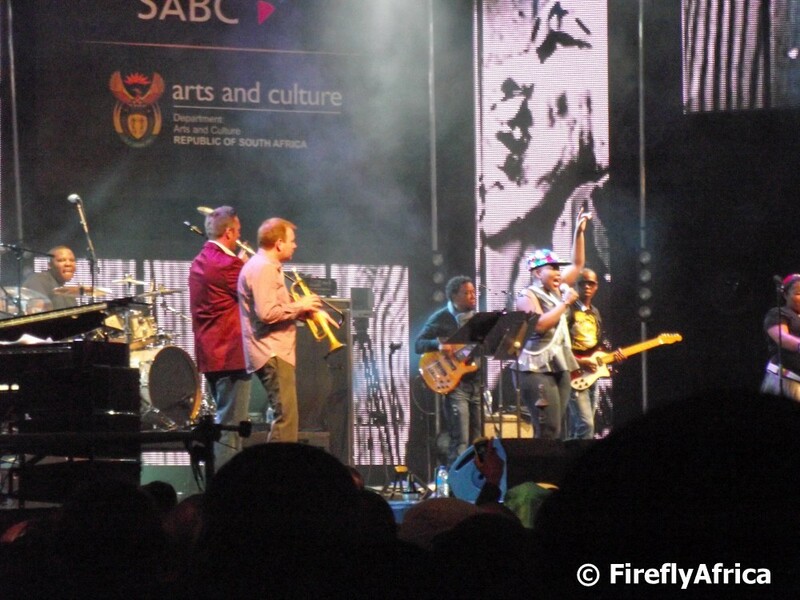 Jazz music fans don't tap per se but rather gently rock from side to side like pine trees in the evening breeze. 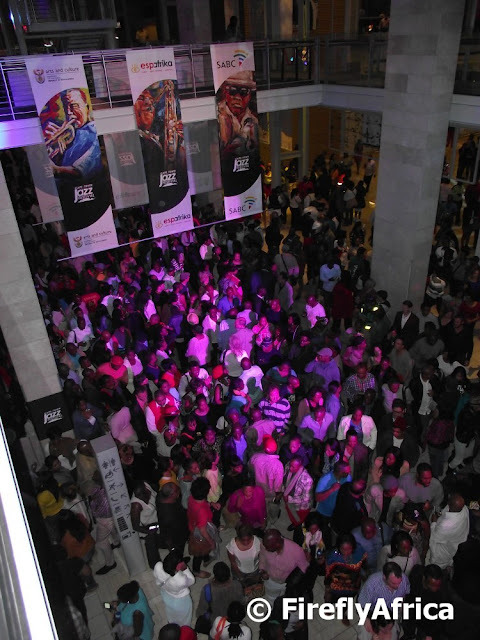 The festival featured 40 international, African and local artists and five stages spread around the venue with the main stage being in the CTICC's main hall. The Manenberg Stage was my favorite stage, not because of the artists that performed on it but rather that fact that it was an outside stage located between two overhead freeways which means that motorists coming into the Cape Town City Bowl got a taste of the festival even if they weren't attending. Not that they would have been able to change direction and pop in as the festival was sold out long before it even happened. My, and I imagine most other, highlight of the festival was US artist Jill Scott and her band's performance. Wow! Wow! and one more Wow! 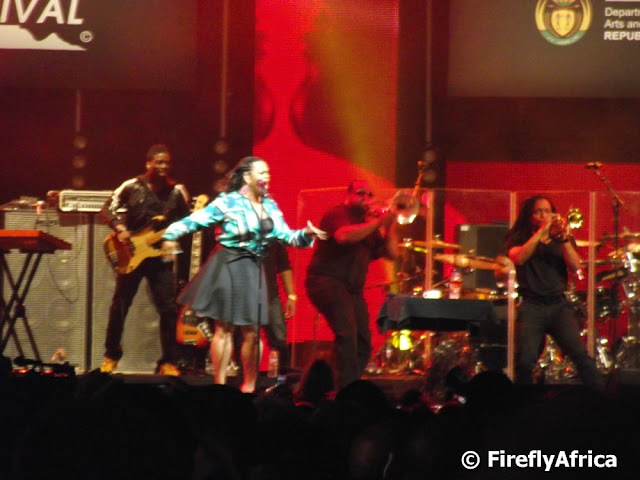 Scott is a three-time Grammy award-winning singer-songwriter, a New York Times best-selling poet and critically acclaimed actress. Now I have to be honest, not being a jazz fan I probably wouldn't buy her CD, but seeing them perform live absolutely blew my mind. She was so much more than that what I imagined a jazz artist would be (see first paragraph) plus I got to tap my foot and enjoy the beat she ads to her music. Sorry about the quality of the photo. I was standing way back. One of the fixtures of the Cape Town International Jazz Festival is the Duotone Photographic Exhibition and features photographs of the past and documents the emergence and growth of global jazz popularity. 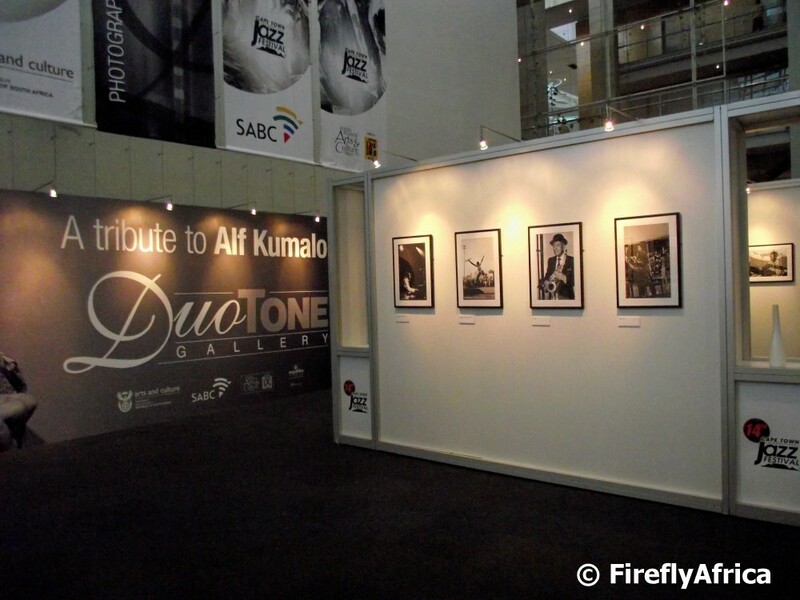 This year's exhibition was a tribute to legendary South African photographer Alf Khumalo and displayed some of his best jazz inspired photographs. The last picture? Proof that I actually was at the Cape Town Jazz Festival. 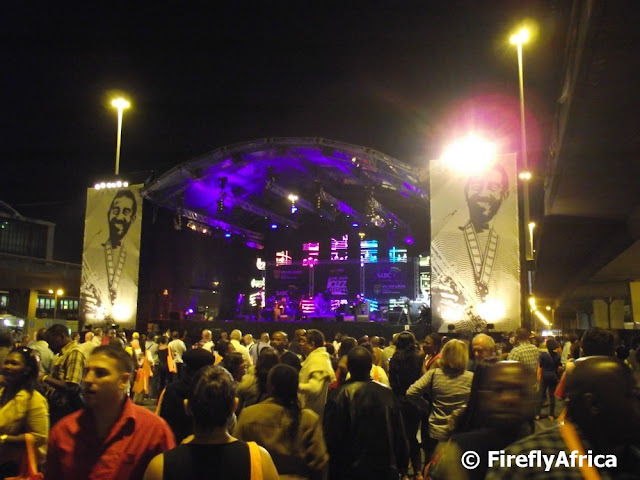 Disclosure: I visited the Cape Town International Jazz Festival as guest of the Tourism Grading Council of South Africa during a fully hosted blogger tour of Cape Town. I received no additional remuneration to write this post and all views expressed are my own. 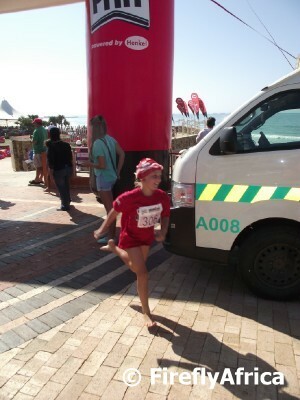 This past weekend (12 - 14 April 2013) was Ironman weekend in Port Elizabeth which, in addition to the main Ironman event on Sunday, also included an Irongirl 8km run on Friday and Corporate Ironman and Ironkids on Saturday. 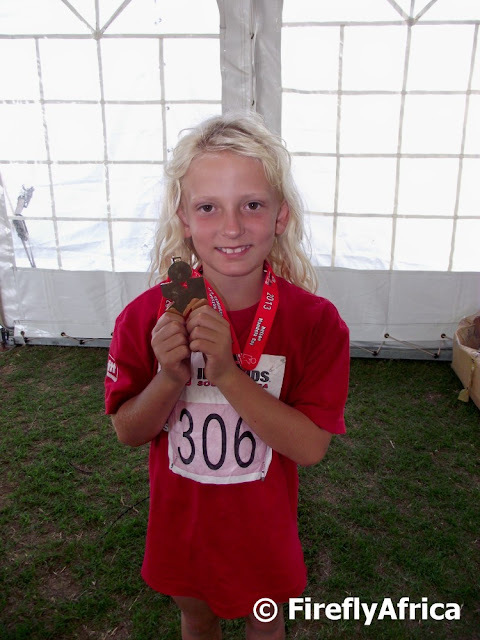 Both Ironkids and Irongirl are the biggest events of their kind in the world. Just for those who don't know what Ironman is, its an ultra triathlon with competitors doing a 3,8 km swim followed by a 180 km cycle and ending off with a 42,2km run. 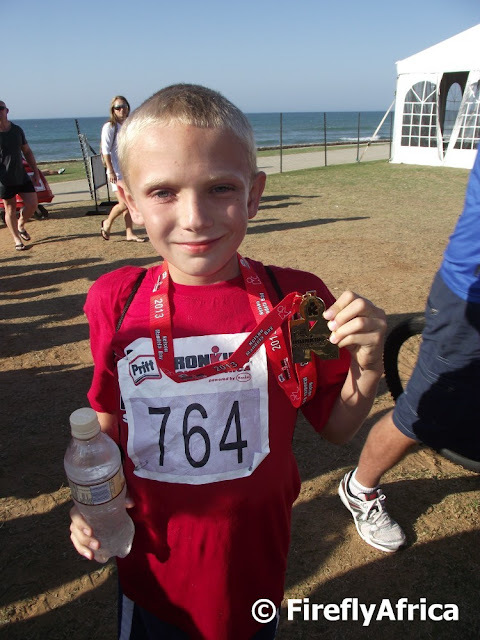 Ironkids are open to kids between 6 and 13 years old with the 6-9 year olds doing a 60 m swim and 1,2km run and the 10 - 13 year olds doing 100 m and 2km respectively. 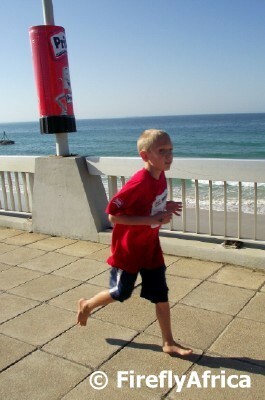 Somewhere the organisers slipped up this year though and all the kids ran the same distance. I'm not complaining too loudly as I followed Chaos Boy on foot from the swim to the end and aren't really in the same shape he is for a distance run. *wink* This year both the KidZ took part in Ironkids with Chaos Boy doing it for the first time while Drama Princess also took part last year. 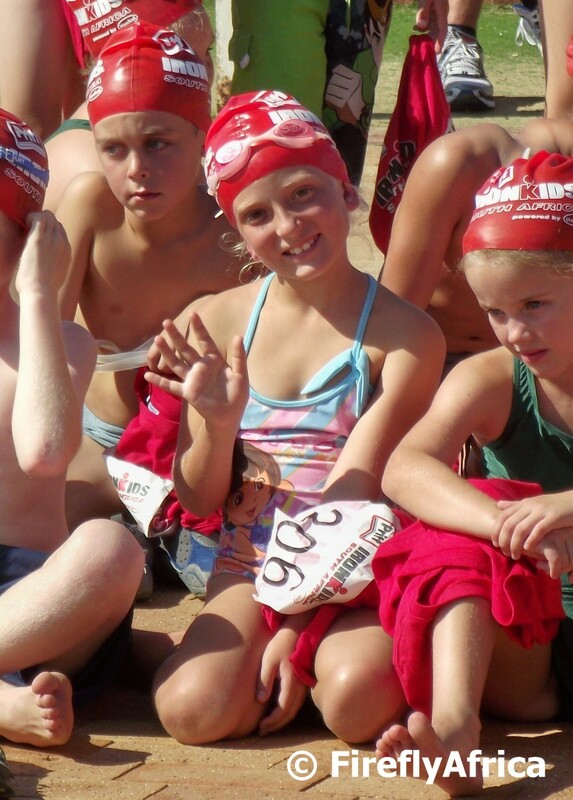 Because it was Drama Princess' second time she was quite at easy with the whole process, even taking the opportunity to smile and wave at dad while waiting to go to the swim start. Chaos Boy was a little more nervous. He's not a very good swimmer and had a long discussion with one of the volunteer helpers. Apparently he asked if he had to dive in and she said that he could also just jump in. He then asked if its fine to just climb in which he subsequently did when the whistle blew. The kids were split into groups of twenty at a time. Each group had at least 10 lifeguards swimming with them and helping out the kids who can't swim that well or who got tired along the way. 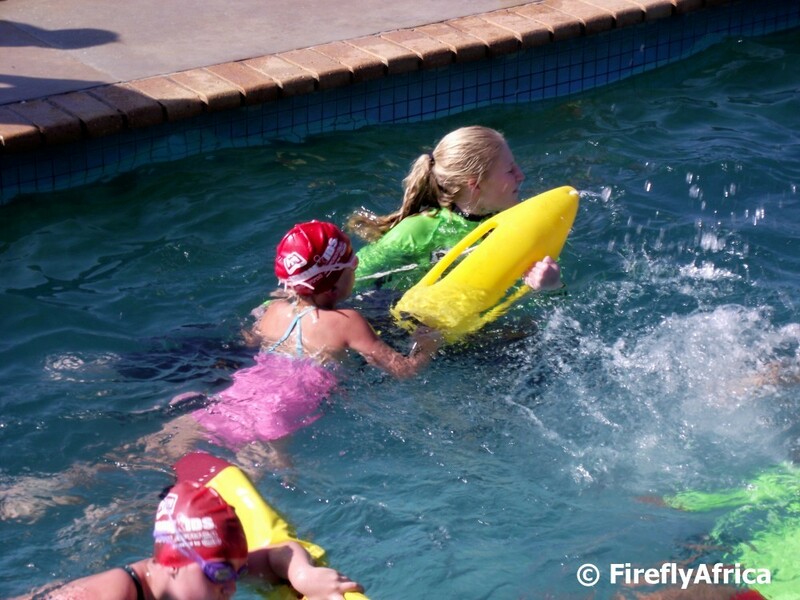 Drama Princess (8) made sure she grabbed herself a lifeguard from the get go. 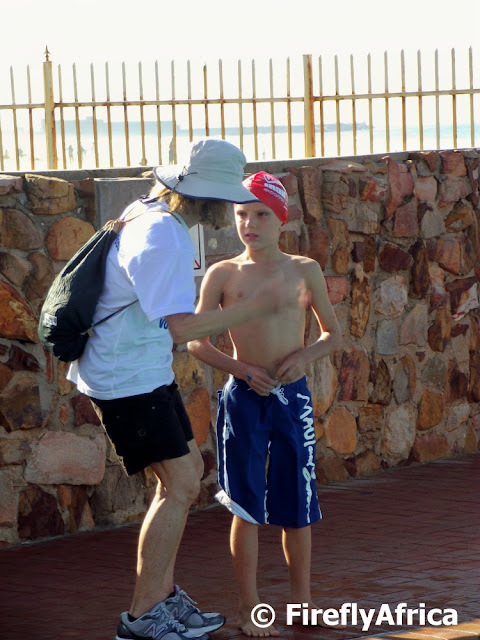 As Chaos Boy (11) is in an older age group the lifeguards don't dive in with them and watch them carefully from the side. When they noticed that he just paddled along they kept a special eye on him and kept asking if he was alright. 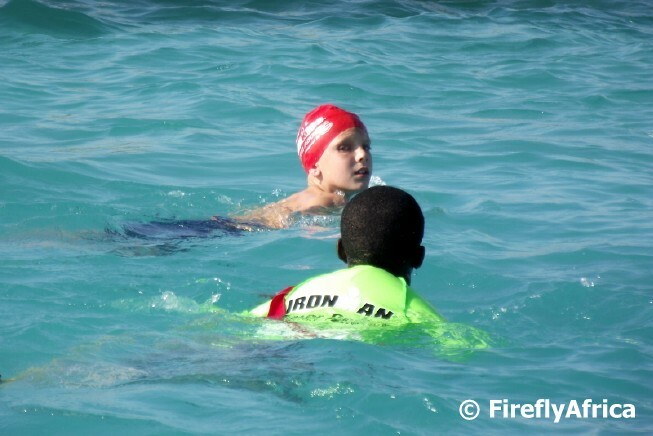 After a bit he shook his head and two guys dived in, one then helping him through to the end of the swim. I take my hat off to these youngsters, jumping in and out, swimming with the kids and then running back to the start for a good three hours straight. The run went a lot better with both the KidZ not having any problems with that. The Damselfly tracked Drama Princess on the run, following her to the end, while I did the same with Chaos Boy. Following them was more to see how they do as there were marshals, volunteers, scouts and police personnel along the way to ensure that all the kids stayed safe. I am so proud of both the KidZ for taking part in this fantastic event. Chaos Boy isn't really the sporty type and after watching his sister last year wanted, to our surprise, do it this year. He did extremely well and, to be honest, I had a tear in my eye when he wasn't bothered with the other kids diving in and swimming right out from under him. He just did his thing. Unlike her brother, Drama Princess is very sporty and competitive. Daddy's little sports star. This kind of thing is just down her alley and she couldn't wait to take her medal to school to show her teacher and the head master. I'm sure we will be back again next year. Regular followers of my blogs would know by now that one of my strange travel quirks is historic cemeteries. 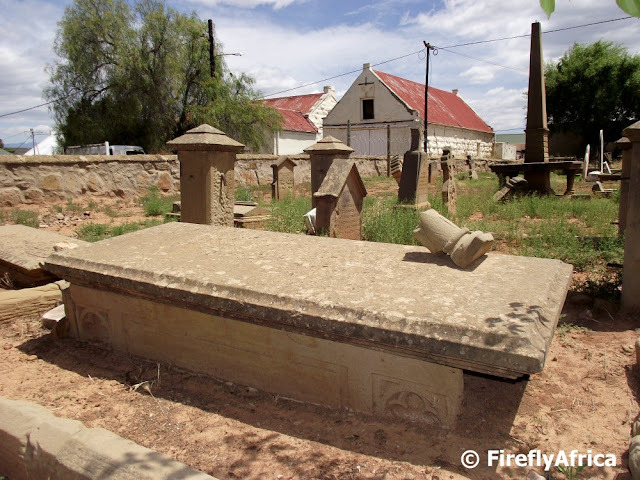 On a recent visit to Oudtshoorn in the Klein Karoo I decided to revisit the Kerk Street Cemetery in the town for a closer look. The graveyard is an old one with most graves having disappeared over the years. In some cases there are headstone that look like they stand in the middle of nowhere and in other places you can see a grave mound but no stone. From some of the graves I could gather that the graveyard was originally used by the historic Dutch Reformed Church down the road, but most inscriptions you can't really make out. I've been trying to do some research about the cemetery on the internet but haven't found anything other than a website with pictures of some of the grave stones. Nothing on its history unfortunately. 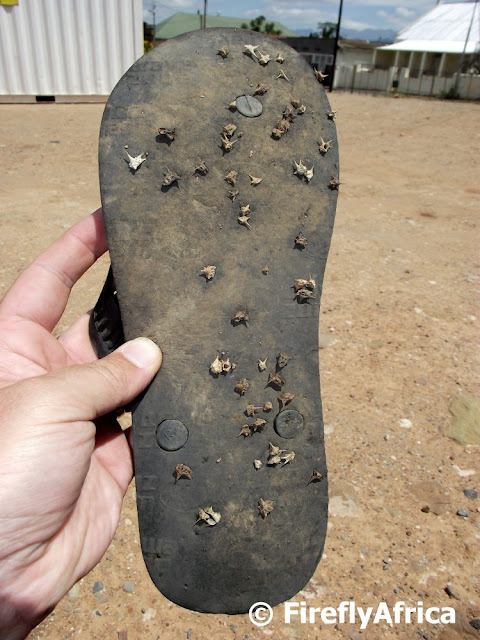 IMy walk through the cemetery had to be cut short because of the thorns pricking me through my slip slops. I could hear them crunch between the sole and the soil and this is what I saw when I took them off in the parking area. Eish, good thing I didn't go barefoot. I haven't done a Random ... post for ages and these two church towers have cropped up, ideal for a Random Church Towers post. 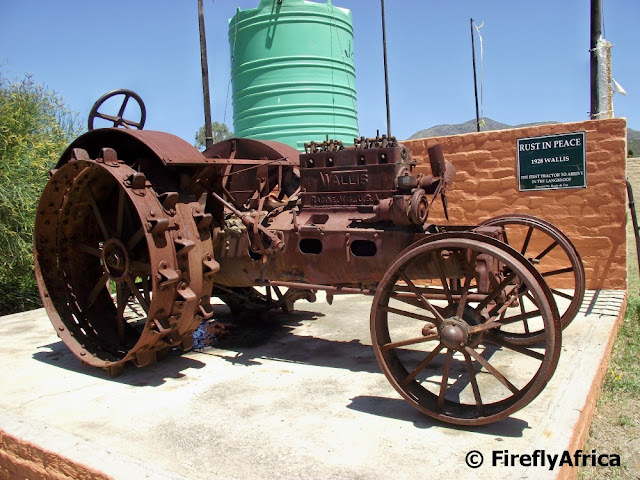 Next to The Ark in Joubertina in the Langkloof stands the rusty remains of a tractor. A very old tractor. 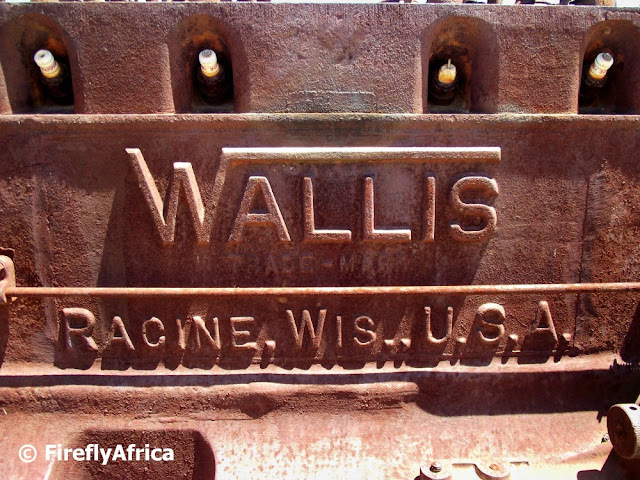 In actual fact a 1928 Wallis tractor. The first tractor to be brought to the Langkloof and the first of many tractors to follow. 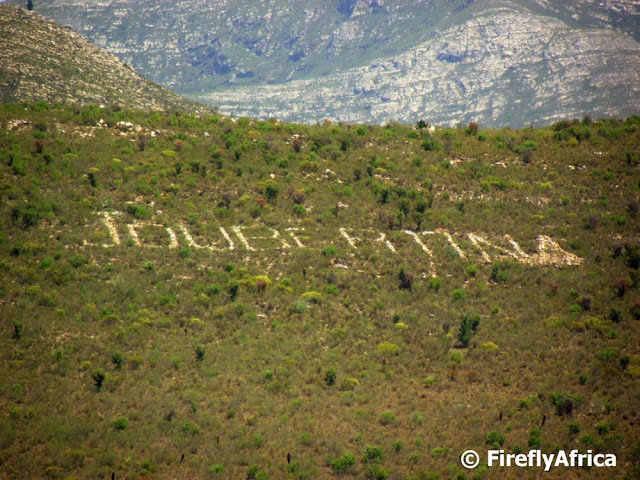 Seeing a sight like this as a monument could be a bit on the weird side anywhere else, but in the Langkloof where farming plays such an important part in everyday life this is a significant part of their history. Most people travelling between Port Elizabeth and Cape Town either barrel down the Garden Route's N2 in eight hours or explore the area over a period of several days. Sadly very few people travel through the Langkloof along this beautiful section of Route 62, better known for the part running through the Klein Karoo. 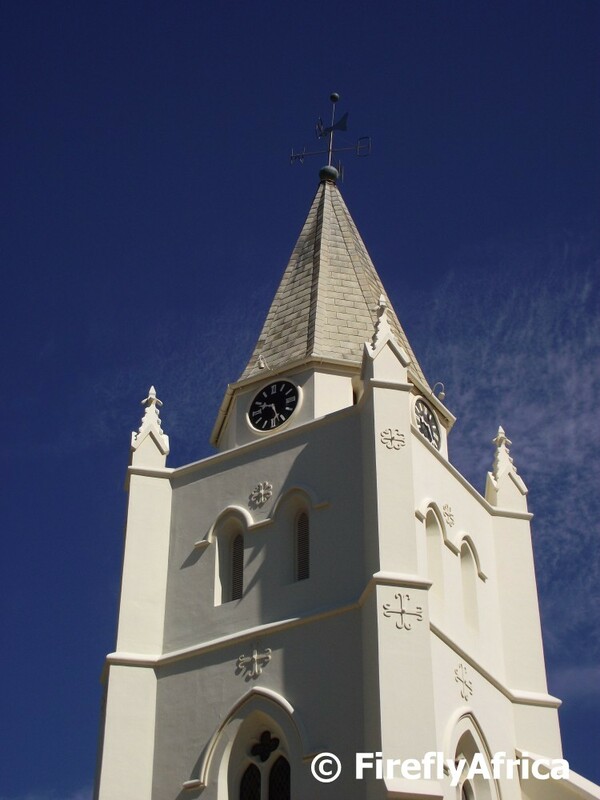 The Langkloof isn't a popular tourist destination, not because of a lack of beauty but rather because of its direct competition on the other side of the mountains. This means that the tourism infrastructure isn't that well developed, but what is there is well worth a visit. Farm accommodation on working farms, mountain trails, adventure outings and most importantly, good old farming hospitality. 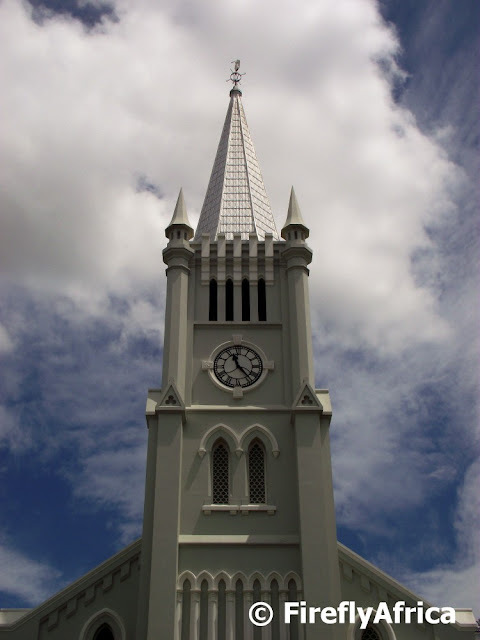 The biggest town in the Langkloof is Joubertina. 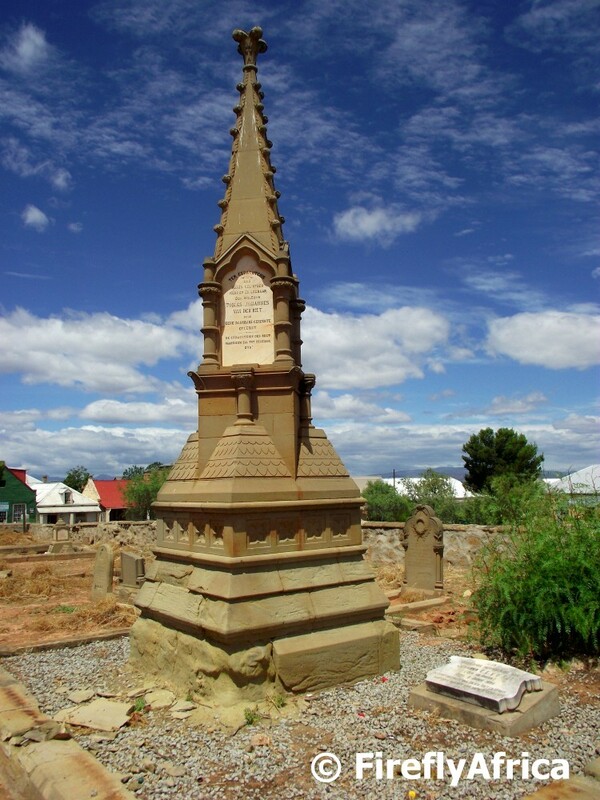 The town was founded in 1907 and named after W A Joubert who was minister of the Dutch Reformed Church in Uniondale between 1878 and 1893. 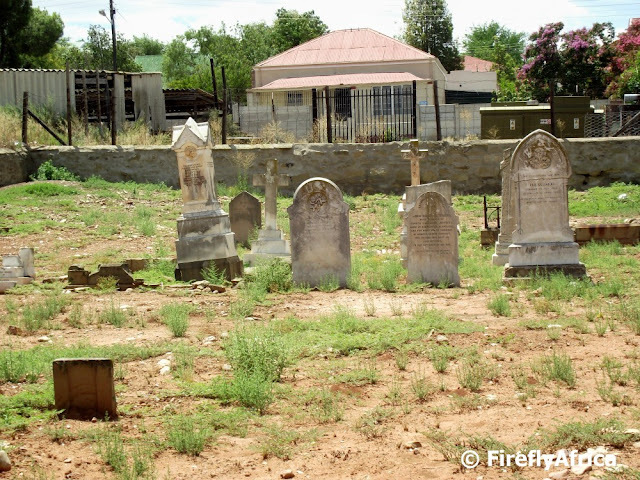 At one stage the twon was a dry town meaning no alcohol was alloed to be sold in the town. This meant that the hotel with its pub and off sales was built outside the town boundaries. My grandparents lived in Joubertina for most of their lives and my mom grew up and went to school there. We still have family on my mom's side who live in the Langkloof who we don't get to visit nearly enough. On the road through the town visitors will find The Ark. Its a place to stretch your legs, fill your tummy, get something cold to drink and get some information and direction to your next destination. 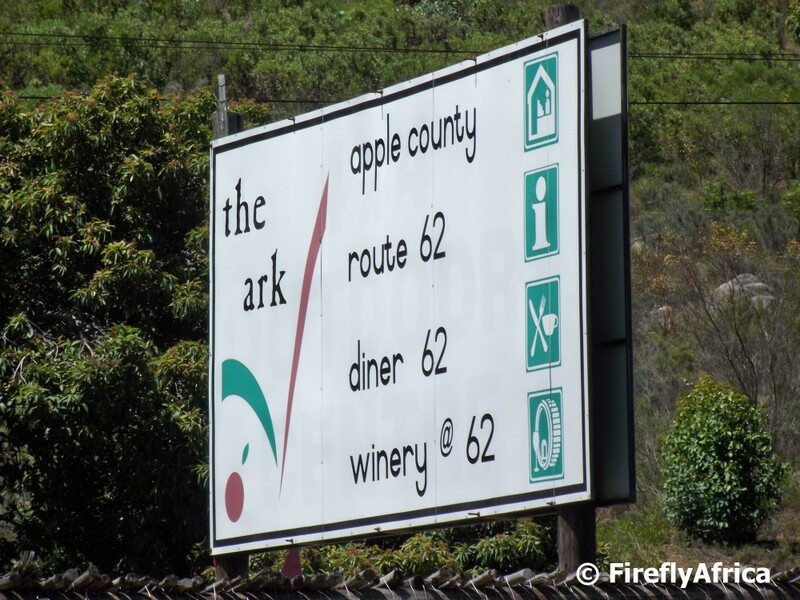 Travelling through the Langkloof back from Oudtshoorn early January, we stopped at The Ark for lunch. 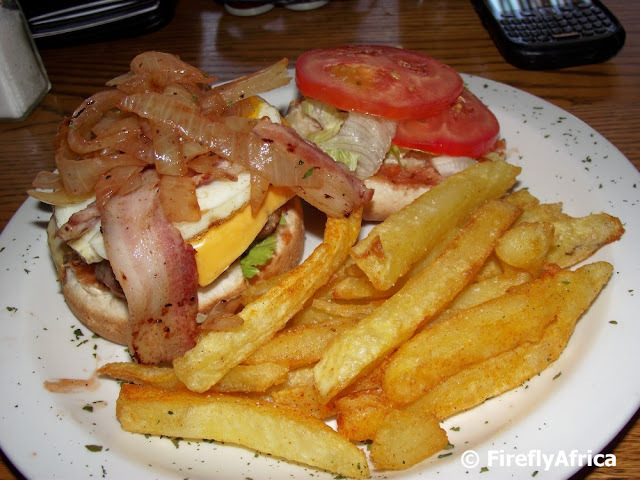 I had a Langkloof Burger with beef patty, bacon, egg, cheese, onions and... wait for it... home made hand cut chips. Probably the best burger I had during the whole 16 day holiday. So next time you have to travel between the Western and Eastern Cape, why not change your regular route and take in some sights in the Langkloof? 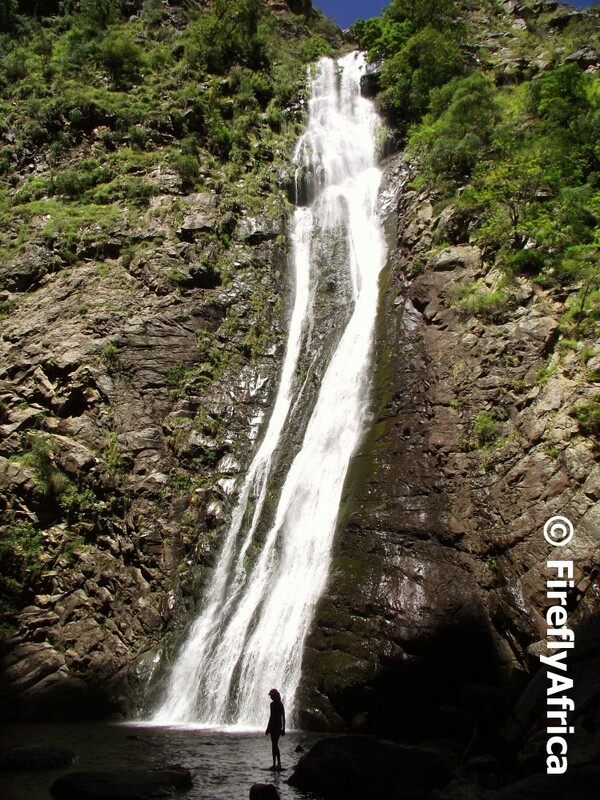 A waterfall nymph at the Rust en Vrede Waterfall close to Oudtshoorn. I would really like to encourage visitors to Oudtshoorn to do the little detour to the waterfall when they are on the road to or from the Cango Caves. It took me years to finally go there and I'm so sorry that it did cause it truly is a very special spot.